Book Review: As I Walk These Broken Roads . By Davis M. J. Aurini. 2012. 314 pages. We're not always reading about the history of communism. For years now we've been dabbling in the Zombie/EMP/Post-Apocalypse genre. Some are entertaining and others tragic, but all offer unique and creative predictions of what the world will look like after a major event. 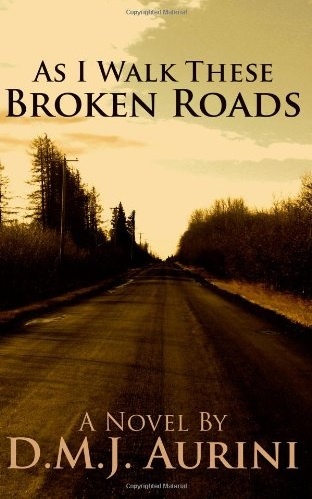 Davis M. J. Aurini's book, As I Walk These Broken Roads, is a new and refreshing view into a post-event world. Aurini's story is about a lone traveler in a world long destroyed from nuclear war. Think Mad Max on a motorcycle. He is a confident and capable man with a sense for right and wrong. A survivor. His name is Wentworth. He is among a sparse population that, although self-sufficient, are not curious about returning to a world of machines and modern comforts. Aurini introduces a new theme to the collapsed world theme: friendship. While all post-apocalypse books present new relationships within a series of events, we would argue that Aurini's book switches this. Wentworth develops a new friendship that takes the reader through the story's events. If post-war humanity from Aurini's book were represented in a line graph, the time of the story would be presented as pulling up out of the bottom of the post-war dip. While few items from the pre-war world still work in the story and those that do are held together with duct tape, communities are forming, travel is somewhat safe, and trade is thriving. Further, Aurini's main characters are of the intellectually curious types who are the seeds for the next modern civilization. Thus, we'd say As I Walk These Broken Roads is a positive view of humanity based at a moment in time when negativity could prevail. We congratulate Comrade Aurini for writing a fine book. And we hope it is not his last. And check out the author's blog, Stares at the World, and his YouTube channel.